If you’ve already started making search for the reviewing wood flooring market, then you can clearly see that engineered hardwood flooring is an increasingly popular and available product now. 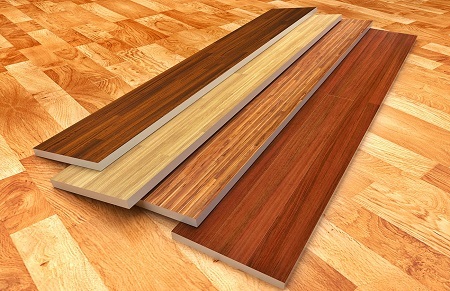 It is usually very competitively priced compared to solid hardwood flooring. But how do you find the best engineered wood flooring and is it any good, you ask? Well, the answer depends on many factors. If you’re an architectural purist and want to renovate a vintage home, you may balk at the idea of installing what is effectively a composite wood product. However, for the most people who just love the look of wood floors, engineered wood flooring is often difficult to differentiate from solid wood once. But, engineered flooring is allowed with a tighter budget. What a good new! What about the quality? Higher-end, best quality engineered hardwood that has a good 2-6 mm thick top veneer layer that can be sanded and refinished over time (similar to solid wood) and can last between 40-80 years. The engineered hardwood with a thinner veneer layer cannot be refinished and generally will not last longer than 30 years. To find the flooring of a high quality, you should learn about the popular engineered wood flooring manufacturers, available from the constructors. Here is the short review of some of the most popular engineered wood flooring manufacturers you can meet online. Hand scraped engineered floors are represented. You will be impressed the quality of wood, rigorously stabilized (A, B, C, D grade), naturally air dried and scientifically kiln dried with certified moisture values between 7% – 10%. Their distressed line is scraped by hand. It makes your floor look naturally and realistic to the touch. Of course, hand scraped floor is distinctively different from machine scraped floor. The variety of colors, grain, characters are impressive. The goods are shipped in microcorrugated carton boxes laminated with 100 microns plastic foil. This ensures against moisture and damage to the flooring. Urbanfloor is a real expert in producing stylish and quality hardwood floors. Whether you prefer a smooth finish, a hand scraped finish or even a heavily distressed floor, Urbanfloor has what you are looking for. Their depth of experience and expertise in the wood flooring industry allows offering the right combination of prompt delivery and accurate service. This is the leading engineered wood flooring manufacturer provider to Distributors and Retail businesses. The company is focused on superior customer service. That’s why the product is absolutely interesting and high quality. The variety of collections is impressive to give you a good choice. 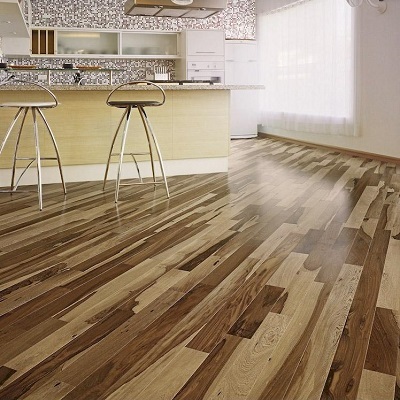 Tropical Flooring provides the full selection of hardwood, engineered, LVT and WPC flooring. It boasts the wide range of natural finishes and textured surfaces of different colors and wood design. Tropical Flooring treats its product composition with care and precision to offer uniquely crafted and truly hand-picked flooring. This respectable engineered wood flooring manufacturer produces floor covering to bring out the beauty in your home. Long lasting and elegant, it will make you fall in love with your floors every time you walk into the room. At Eternity they offer coordinating trim pieces, MDF base boards, glue & underlayment to not only complete your design project, but enhance the beauty of your new floor, home. What can you take from them? You are impressed with the new trends, unique colors, and innovative designs and products. Their main benefits are quality and affordability. These two distinguishing traits set them an exceptional reputation within the flooring industry. Looking for the industry standard in engineered hardwood, pay attention to Anderson! It was the innovative team with the idea to construct engineered wood using their now trademarked Cross-Lock system that alternates the grain direction of five separate wood plies to create a plank that is as strong as steel and uses much less raw wood than solid wood flooring. The idea was great to use it today! The point is the all engineered hardwood brands and manufacturers use this same method, but Anderson were the first, and are still very highly regarded as one of the best. Actually, Anderson currently offers two brands: Virginia Vintage and Anderson. Each of these brands has several different collections of both solid and engineered hardwood. Anderson is also of particular interest as it is one of the few flooring brands on the market that does its plank texturing (such as hand scraping, wire-brushing). As you can see, the humans’ work is opposed to machines, giving each plank a truly unique character. The Columbia Flooring company is one of the three brands that form Unilin, which is a big part of Mohawk Industries. The history is ling but it’s not about the history! But, confusion aside, this interwoven web of flooring companies has a very good reputation and benefits from combining technological advances. For example, both Mohawk and Columbia use the Uniclic locking system on some (though not all) of their floors. Want to see the collection from Columbia? They are not extensive (currently there are just 15 engineered hardwood collections), but they are all rather attractive. This is popular fact. Often when the choice is not big, you can pick the right type of floor faster. Too much choice can actually just be too much! Here is one of the most attractive engineered wood flooring manufacturers. Why? It is budget and the same high quality! If your budget is extremely tight, then your best option is to look at the Home Legend engineered hardwood floors that are widely available. Want to compare? The price can be $1.98 per square foot and with a fairly decent reputation and equally decent 30 year warranty. Home Legend floors give you a chance to get a good looking hardwood floor without breaking the bank. Another advantage is that most Home Legend floors use the Click Lock installation method. It is useful and helpful if you’re planning to go down the DIY route. The list is not full. Every new company offers something special and up to date! Choose something from the qualities you are expecting to get from your floor.